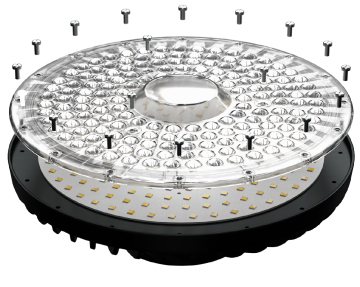 The optical powerhouse for highbay, retail and catenary lighting. 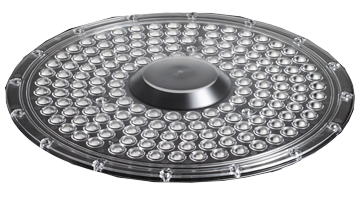 VICTORIA is LEDiL’s brand new high-power lens module for highbay, retail and catenary lighting. 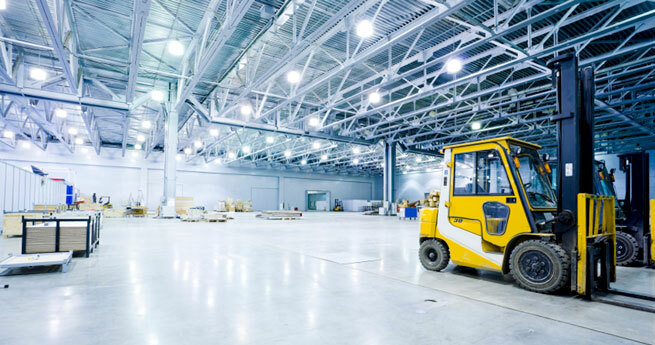 A Ø300 mm lens array with 160 individual optics and power outputs from 10 000 up to an incredible 40 000 lumens ensures VICTORIA delivers light on an industrial scale. In addition, the space in the middle is large enough to house a built-in driver and can be adapted to be compliant with Zhaga book 18 sensors. VICTORIA is LEDiL’s latest contribution to the rapidly emerging world of smart lighting. Optimized for 2835 and compatible with up to 5050 size high-power LED packages, VICTORIA delivers excellent optical performance with good glare control while the patented RZ surface eliminates colour-over-angle-artefacts from the beam. 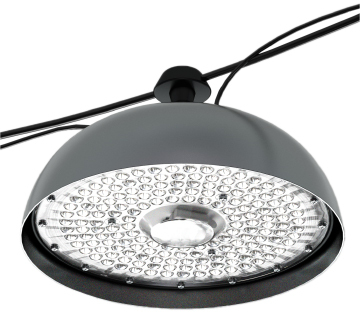 VICTORIA is available in PMMA with or without ingress protection and is available with 60° and 90° light distribution. 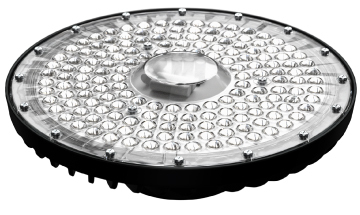 Offering a high degree of optical control, incredibly high light flux and the possibility to house smart sensors and a driver VICTORIA really is a ground breaking lighting powerhouse.